Next for today we have to offer a new adventure game,a new game in which you will have aot of fun playing with some of your favourite characters from nikelodeon, from the serie House of Anubis. The administrative team has promised to brign you all the existing games with the character from the serie and we intend to keep every promise we make. This game is and adventure and mistery game,a game in whihc you are invite to choose your favourite character from the serie and explore the entire house with him in search for clues that may help you find out what misteries is hiding this huge house. You have to join your friends in this new game, explore the house and defend yourself from magical creatures who want to harm you ,using the things you collect trough the game. The wisdom owls that are golden, ofers you instructions concerning what you have to do in the game and how to play it. 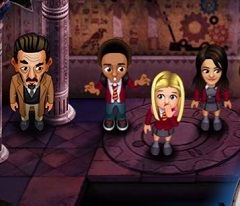 Have fun with your favourite characters from House of Anubis, here on games-kids.com! why won this game load!!!!!! 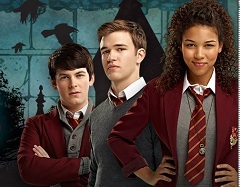 I loooooooooooooooooooooooooooooooooooooooooooooove house of Anubis best siries ever! Anisa,sometimes you just have to wait till it loads. Nobody wants to hear your problems in life.And this game is so cool.To me it is just like chess it takes a long time.